This portrait is of Alyona, a ballet dancer from Siberia. I sculpted her in clay then cast her in plaster. 2 Responses to "Alyona weeps"
This portrait of a Russian dancer is very touching. I just wanted to say that your works are simply incredible. 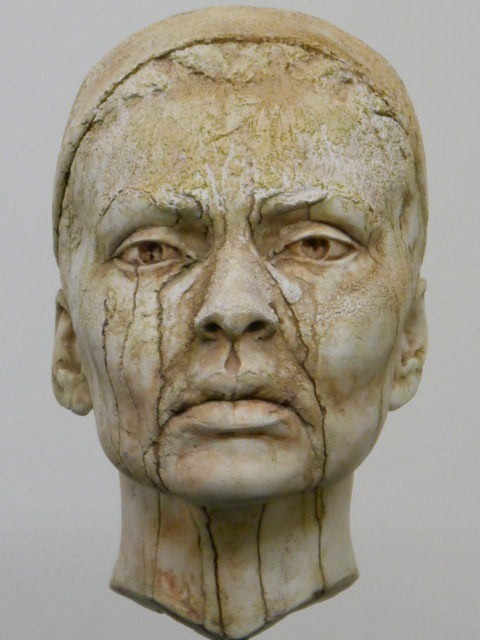 I came across your sculpture of Adam Kirkham in Google pictures and finally ended up on this website. Your portraits intersect in many points with my academic and personal interests in sculpting, humans, and dance.